Sometimes hardware gets a bit… buggy. 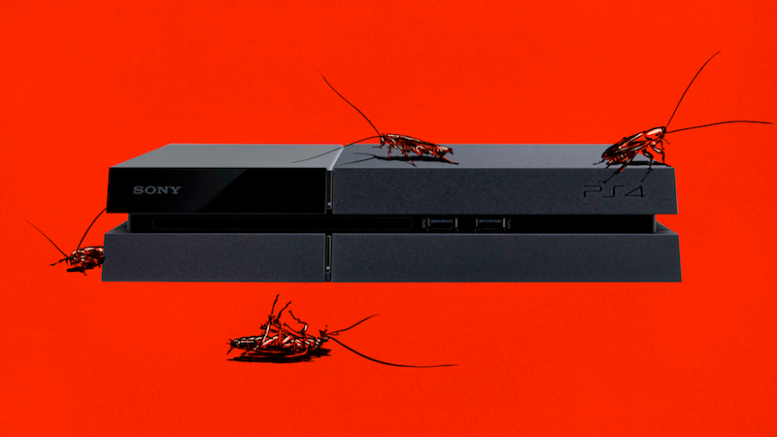 I was reminded of this when reading a recent article on io9 about how the PS4 is apparently perfectly designed to attract and retain cockroaches. These roaches set up a nice home inside the box and eventually their remains and their droppings short something out. It’s a pretty disgusting thought, but I can understand — one time I had something similar happen to an answering machine. We tend not to think about our devices having bugs — either the literal or figurative kind — much anymore because for the most part, a lot of stuff just works as intended. But in the earlier days of computing, bugs were a real problem and finding them was an even bigger one. Without good test protocols, combing millions of lines of code to find a misplaced comma or number was no laughing matter. adding “First actual case of bug being found.” In case it’s not clear, the actual bug is taped to the page. Personally I haven’t gotten a satisfactory answer to why she wrote “First actual case of bug being found,” as that’s the sort of thing you write when you know there’s something historical happening. If she wrote it at the time, that would actually imply the term existed before that moment, and here was the first evidence she had of it. Or perhaps she wrote that last bit some time later. At any rate, whether this is literally the first bug or just an early one doesn’t matter, as it it’s proof that the term “program bug” actually came from real bugs.